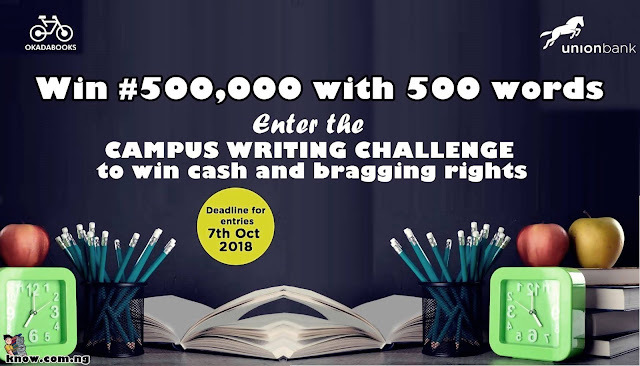 Nigeria's top e-publishing platform OkadaBooks has announced the call for entries to the Campus Writing Challenge 2018. The challenge is sponsored by Union Bank and there are many amazing prizes to be won. The writing challenge is focused on discovering students with raw, bold and creative writing talents and is open to all students of the different tertiary institutions across Nigeria. The major aim of the Campus Writing Challenge is to prove the students with the necessary exposure to hone their craft and become master storytellers. During the entry period that will run from from Monday, August 27 to Sunday, October 7, 2018, all students are invited to visit UnionBankNG.com/writingchallenge to submit their short stories with a word count of between 3,000 and 5,000, to stand a chance of winning great prizes. The winners will receive cash rewards totaling N800,000 with a lot of other rewards. ✓ A copy of the 1st edition of the Collegiate Anthology. ✓ Story published in the 1st edition of the Collegiate Anthology. ✓ The top 10 winners will be given N15,000 cash,their story published on the 1st edition of the Collegiate Anthology, plus a copy of the 1st edition of the Collegiate Anthology. ✓ The top 25 winners will be gifted a N5,000 gift certificate to use on Okadabooks.com plus a copy of the 1st edition of the Collegiate Anthology. Interested students are expected to submit their short stories on the official website to get started! 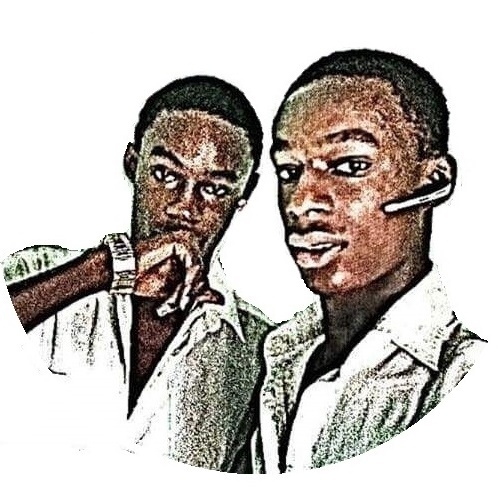 To find more,please visit UnionBankNG.com. We wish you goodluck, don't forget to share.